Notes on James Madden's "Mind, Matter and Nature"
Are we living in a machine? 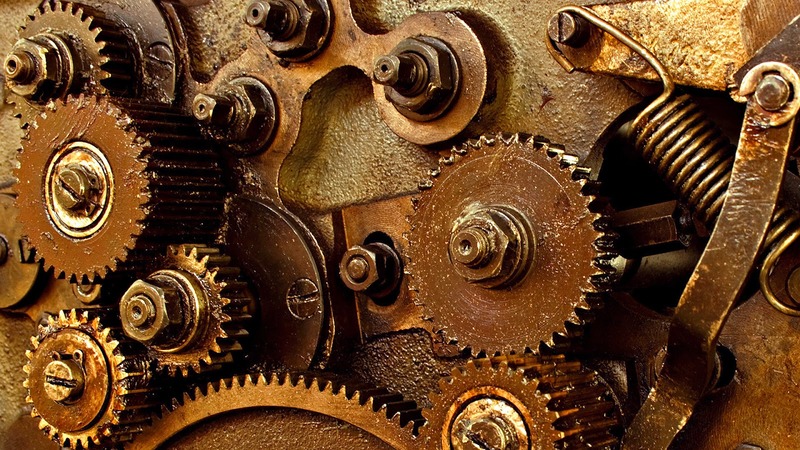 Mechanism is the view that the fundamental substance of the world exists independently of anything else. It is physical and independent of minds or other psychological properties. It is analyzed according to physical properties, causes and a like. If one is a mechanist one can either be a dualist or a materialist. Either there are entities that operate over and above the material or matter is all there is. Given the weaknesses of both positions, Madden concludes that the issue in question is whether or not mechanism should be assumed. Madden says there is a better alternative and, when applied to the philosophy of mind, makes better sense than either dualism or materialism. Aristotelian hylomorphism holds that prime matter is the fundamental principle of the world and that it has the potential to actualize any form. Because prime matter cannot exist without form and exists only in potency, all objects contain the co-principle of prime matter, pure potential, and substantial form, the –ness of any given object. Change, affecting accidental and substantial form, has four causes – material, formal, efficient and final. For living organisms the soul is the form of the organism, the human being has an additional feature that warrants thinking of it having a from/soul that can exist eternally. The nature (being) of reason is what makes reasoning possible (act). Consequently, although the human soul and body are one substance, the soul nonetheless can exist without the body since reason is universal. 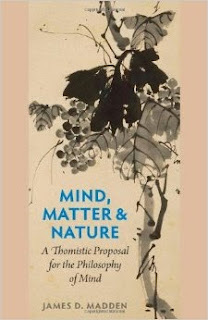 Madden’s proposal highlights the central issue in the philosophy of mind. A given view is held and defended not only the narrow insights we gain in analysis of intuition (dualism) or empirical observation (materialism), but because of an assumption about the fundamental nature of reality. Madden helpfully points out that both dualism and materialism are compatible with the common assumption of mechanism. Mechanism refers to a Newtonian view of laws and matter commonly assumed in the contemporary academy. Such a straight jacket compels positions in the philosophy of mind, but shouldn’t, according to Madden. Aristotelian hylomorphism has ancient precedent and, according to Madden, deals with the philosophy of mind quite adequately. It is hard to argue against if it is true, but that is the problem – how does one justify the position? On what basis does one defend prime matter? It appears a speculation that is conceptually possible, but impossible to prove. Recall, that this is partly what led to the collapse of the Aristotelian worldview in the first place.